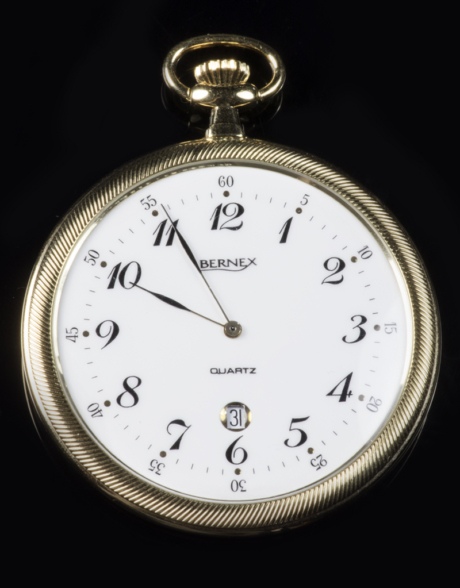 A half hunter gold plate Bernex pocket watch. 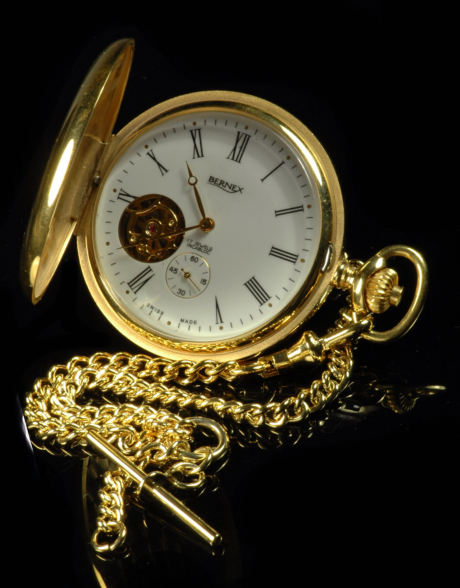 This pocket watch has a quartz movement and is battery powered. Roman numerals depict the hours and there is a date window at 3 0’clock. This watch has a sweeping second hand.